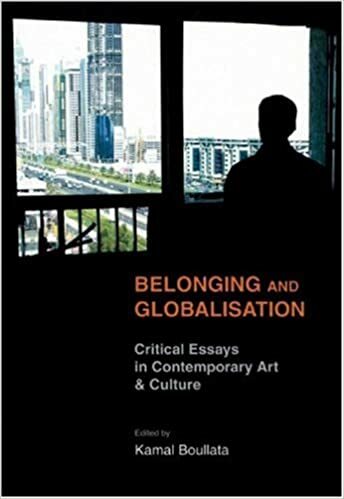 Buy Belonging and Globalisation: Critical Essays in Contemporary Art and Culture by Boullata, Kamal, Kamal Boullata (ISBN: 9780863566660) from Amazon's Book Store. Everyday low prices and free delivery on eligible orders. Belonging and Globalisation: Critical Essays in Contemporary Art & Culture [Kamal Boullata] on Amazon.com. *FREE* shipping on qualifying offers. This collection brings together leading voices involved in shaping the artistic and cultural scenes outside the Western mainstream. Focusing on the concept of belonging. AbeBooks.com: Belonging and Globalisation: Critical Essays in Contemporary Art & Culture (9780863566660) and a great selection of similar New, Used and Collectible Books available now at great prices.